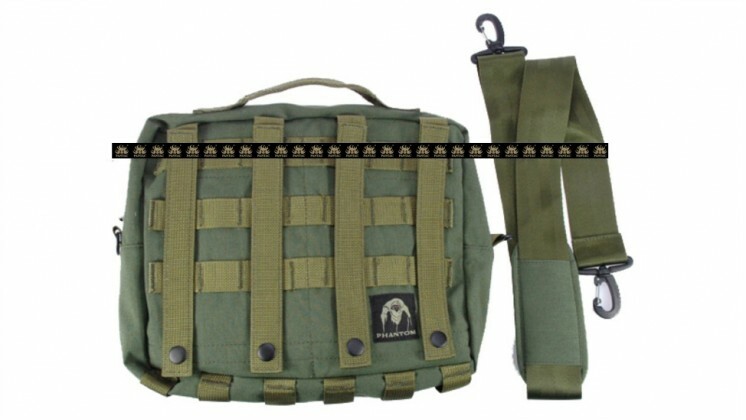 This versatile bay can carried by molle system and shoulder strap. Made with a YKK® brand sand resistant zipper , INVISTA CORDURA nylon and quality Scovil® snaps. 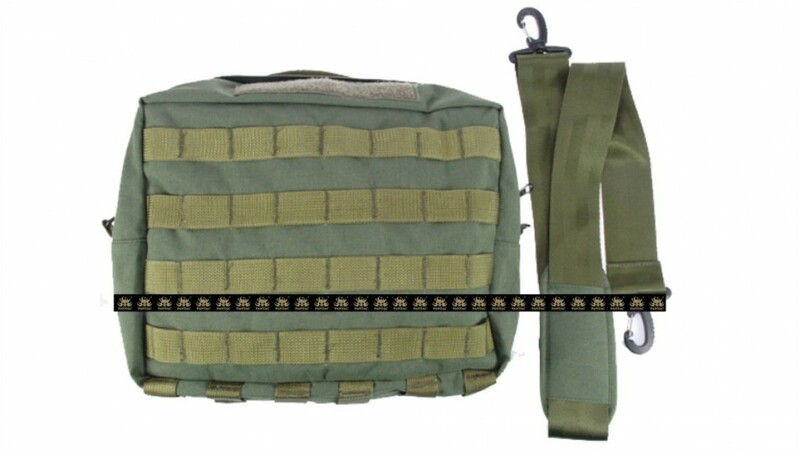 The inside features a large net pocket with a Velcro® secured nylon flap and two quick access pockets for holding M-4 magazines and other necessities Also inside you will find two snaps and to tether points to attach to your equipment on lanyards to. The PALs webbing allows easy attachment to tactical vests, belts backpacks and more. They even have a strip of Velcro® Loop across the top to attach a name tape or contents label. The bottom has a "Sand Vent®" that allows sand and water to exit the bag while keeping your goodies safe inside. The inspiration for this bag came from the current issue U.S. Military Claymore Mine bag with many improvements in functionality.